I’ve been organizing my digital life this past week and I’ve discovered I often pause at the top of staircases to appreciate the visual patterns they create. These were the images I still had on my computer from the past year, taken in places as various as a museum in DC, a hotel in Paris, a monument in Belgium, a pulpit in Switzerland and the stairs in my last home in Louisiana. 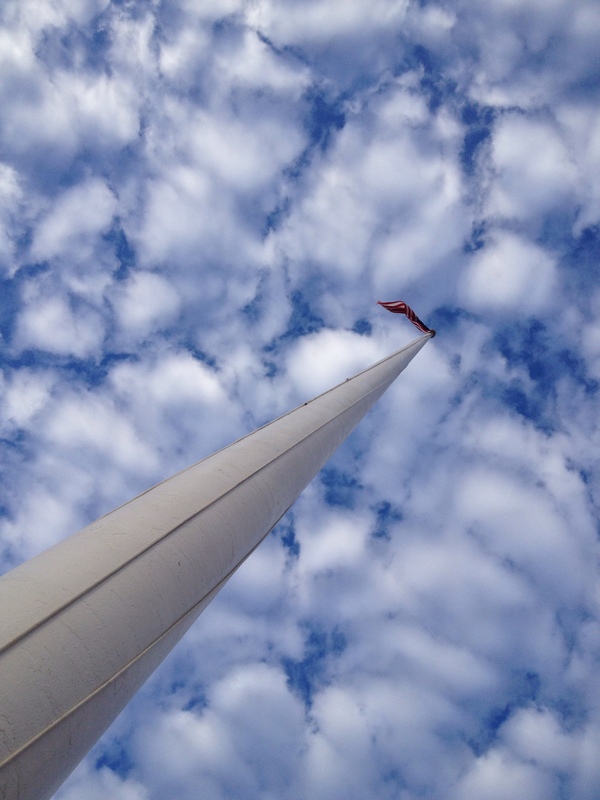 In a much different interpretation I give you the flagpole that stands on the parade grounds across from my current home in Nebraska. On top of it flies the flag that represents our freedom, our values, and every single life given in its defense. My eyes travel to the top of this flagpole dozens of times a day and every single time my heart soars and I’m reminded to be thankful.